We did it. We made it to the summer months, yet again. It's time for balmy weather, Even though the temperatures are blazing outside, you should still aim to look as cool and effortless as possible. This year, the theme is lightweight and breezy, so maybe you won’t sweat through your clothes...as much. We’ve compiled a guide of key pieces to have in your wardrobe to help you get through this cruel summer in style. This season, focus on solid colors and subtle patterns when you’re looking for summer staples. The more basic essentials you have, the more you can mix and match them to create multiple looks you can wear all summer. The Hope Button Down Collar Non-Iron Short Sleeve Shirt is perfect for wearing unbuttoned at poolside or for a night out. The light blue stripes are a summer staple. You can’t go wrong with a neutral color of chino shorts. Just like chino pants, these shorts are a good way to look more dressed up while still staying cool. You can pair these with anything you own, from casual button ups, t-shirts, or even a sleeveless shirt. Complete the look with your favorite pair of sneakers or sandals. Despite the hot weather, finding casual, 100% cotton pants are still an essential you should have in your summer style. They’re ideal for weddings, dates, and other special occasions that you want to look more dressy for. 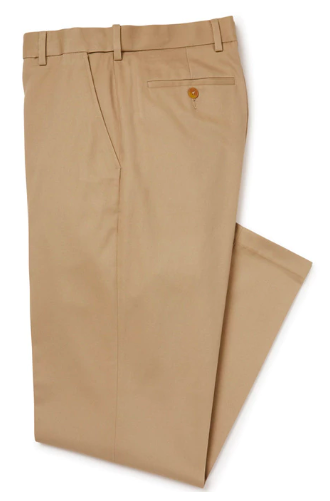 Our Flat Front Performance Non-Iron Cotton Khaki Pant In Tan are just what you need for that extra something the next time you have to dress up. Throw on a button up shirt and your best dress shoes for the final touches. A classic white sneaker is the perfect addition to almost any summer look. From running errands to date night or a night out with the boys, these will be your new go-to. We love the Superstar Shoes from Adidas. 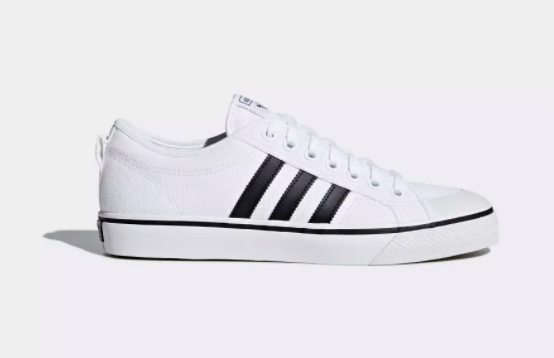 The white sneaker with the iconic 3-stripes and shell toe make any look pop and help you stand out. Wear them with a short sleeve button up and shorts or chinos for a weekend look you didn’t know you needed until now. If you’re not feeling sneakers, try some leather sandals. Men can wear sandals, too! They let your feet breathe and the olive color is neutral enough to wear with almost anything while still giving you a nice alternative to your typical brown or tan sandal. These sandals from Steve Madden are great for wearing with shorts and a t-shirt or a button up with white pants. When you think of summer, you think of lounging by the pool and getting a nice golden brown tan (don’t forget SPF). You should be able to express your style even when you’re going for a swim or laying on the beach. A nice pair of cropped board shorts with a subtle color or pattern is what you need. We love this pair from J.Crew. The thick stripes and olive/navy combination is a great, neutral look that’s versatile enough to wear summer after summer without going out of style.